Southwest Putting Greens International, Inc. and Southwest Greens of the Valley began installing synthetic turfs, artificial grasses, lawns, play areas, putting greens, tee boxes, tee lines and more in the Valley of the Sun in 1996. As one of the first companies to offer this product to Phoenicians and Northern Arizonans, Southwest Greens of the Valley slowly began spreading the word about artificial turf throughout Phoenix areas of Scottsdale, Chandler, Mesa, Tempe, and all of Central Arizona! 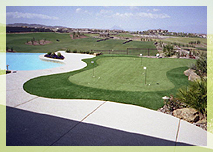 At first, artificial grass was not widely accepted due to the stigma that it looked "fake". 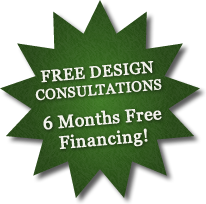 Ten years later, Southwest Greens has evolved into the largest synthetic turf installation company in the valley by providing our clients the highest quality product and customer service to meet every artificial grass need. Once a few "show greens" were installed and people started seeing the product first hand, the thought of owning a personal putting green was a trend that was becoming a "must" for golf enthusiasts and amateurs alike. Almost 10 years later, Southwest Greens of the Valley installs up to two new synthetic lawns a day here in the Valley of the Sun, every day of the year! The constant improvements in technology and installation techniques, sets Southwest Greens of the Valley apart from every other company. We are proud of our reputation as the leader in the industry for the design and installation of synthetic turf and artificial grass amenities and will continue to strive for excellence with each project we construct.